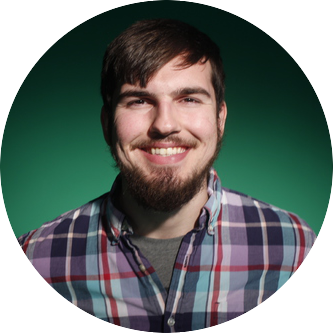 I am Andrew Decker, a freelance programmer and graduate of Ohio University School of Media Arts and Studies with a Bachelor's Degree in Communication Science. I majored in Games and Animation and minored in Computer Science. I have been involved in game development since 2015 with an emphasis in programming. I am a Unity developer for Max Gaming Studios. I am a Unity Certified Developer familiar with C#, C++, swift, and java script coding languages. My preferred language is C#. I use it in all of my Unity Projects. I've tutored students at Ohio University in the use of C Sharp and the Unity Engine. Programming to me is fulfilling because I get to breath life into stories and art. Taking designs and making them responsive, juicy, and satisfying in clever and efficient ways is an absolute joy to me. I love working with others and pride myself on being a pleasant person to work with, so reach out! I would love to talk games with you.